Everywhere I turned red noses, they were everywhere. At the check out stand, in the pharmacy line, in my Twitter feed, on profile pics, and on TV. I wondered just what was this red nose thing about anyway? In 2015 I celebrated my first Red Nose Day. I quickly learned that 1 in 5 kids live in poverty in the US. This Red Nose deal was more than just a fun TV special filled with comedians and celebrities raising money for something unkown. The cause is very well known, so much so it’s right under my nose. Webster defines poverty as a state of deprivation, or a lack of the usual or socially acceptable amount of money or material possessions. Kids. Without enough to eat. Their only meal may come from school. Kids. Without basic needs, without healthcare of any kind. Education is not a priority and learning is tough when you’re hungry much less if you’re sick. These kids have very little and they’re not just in India, Africa or in a third world country. They’re in our neighborhood. Research shows that the greatest threat to a child’s well being is poverty. It’ll hamper a child’s ability to learn and will contribute to social, emotional, and behavioral problems. The effects can be long lasting. Last year Jack Black’s visit with Felix in Uganda really got my attention. That’s what today, Red Nose Day is about. Bringing awareness and support to the issue. RND is a day set aside for fun and laughter while raising funds to support poverty-focused charities working both in the United States and around the globe. You and I can have fun while making a difference for kids. 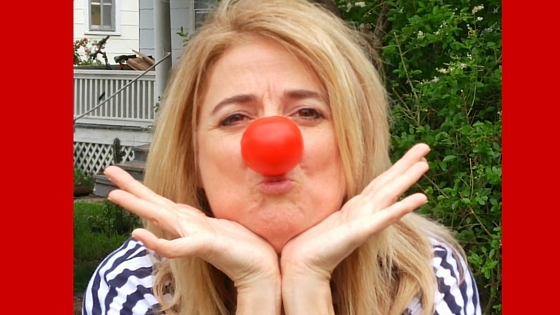 Red Nose Day USA is run by Comic Relief Inc. in the U.S., but you and I can participate right here in our communities, where we do life. And if you don’t get to it today, plan something this summer. Follow the movement and share your funny photos across social media. 2.Throw a Dart Day at your house! Make darts or dance the center of your gathering. But bring people together to fight poverty. Whatever it is you love and your friends and family will have fun doing together will be a great way FUNraiser. Get pledges or raise money right on the spot! It’s funny. It gets people talking and allows you a chance to educate someone else. And it’s the universal symbol for Red Nose Day. A yard sale or a garage sale make great ways to raise a little money for a kid in need. Plan to have one this summer.